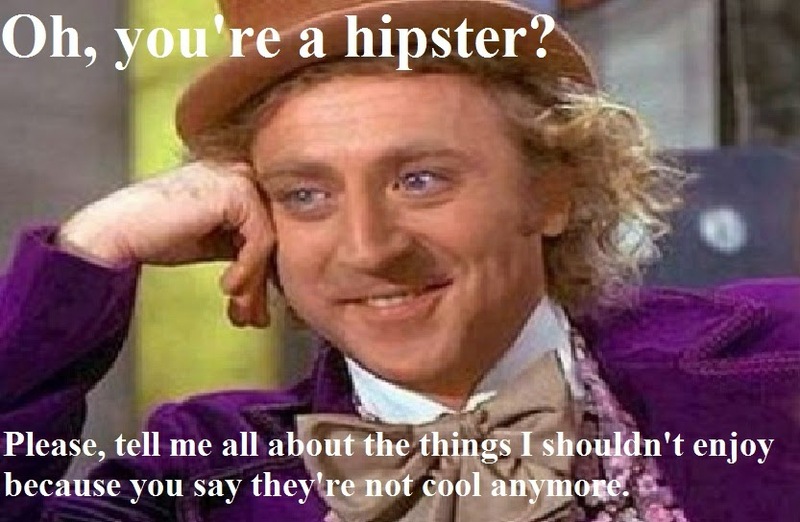 I am not a hipster. Sure, I have my moments. My music selection is not bad. I do have a pretty good idea on where to find great food in an unassuming location, but I don't sport a french moustache or wear ironic tshirts (very often). Still, the cool factor of a given city does influence real estate and the neighbourhoods my clients reside. So, I cannot afford to look the other way. Maybe you're so hip yourself that you're thinking: "Pfff! Toronto is so not hip." But you would be wrong. At least, according to Vogue magazine. According to these style mavens, I'm not the only one who is aware of just how cool some consider Toronto to be. In fact, in their top 15 neighbourhoods in the world, Toronto's West Queen West ranked #2 , ahead of cool neighbourhoods in New York, Los Angeles and Paris. I'm not sure everyone would agree, but I think it's safe to say that the world considers Toronto cooler than it used to be. Because I have to tell you, in the 80s, Toronto was not terribly cool. It was that awkward, pimpled teen with the clothes that didn't fit right who really wanted to go out and own the dance floor at the high school dance, but felt it was safer to hang back by the bleachers. But does cool really matter in Toronto? I don't think it's important that you are cool or hip to live in this city. As I mentioned, I am neither cool nor hip. But I do think very positive things come out of cool or hip like independent businesses that create distinctive neighbourhoods or a sense of creativity that makes a neighbourhood more distinct. Maybe hanging around too many hipsters makes you skin crawl. And if that's the case, I should make you aware that hipsters have often been the vanguard of where to buy next. West Queen West, Beaconsfield, Ossington, the Junction, and Leslievllle have all become little pockets of cool, and real estate prices have been reflected in that. Even the changeover in Yorkville was once the hot spot for hippies, the hipsters of the 60s. On the rise, you'll find the Junction Triangle, Danforth Village and even the city of Hamilton as places that are also becoming centres of cool-dome. And that kind of buzz is really a draw. Neighbhourhoods that were once a little down on their luck with relatively inexpensive housing stock become purchases for artists and hipsters. Then someone opens up a cafe, and then a few new restaurants. Then the word gets out. People start to visit this cool neighbourhood and the main strip becomes a destination for wine bars, art galleries and gastropubs. Many hipsters may have moved on by this point, but those who saw the cool factor early will see their real estate prices increase. And that's what I'm hear to tell you about. Now, not all neighbourhood are destined to be centres of cool, and I am certainly surprised by some neighbourhood that have risen to hipster meccas. But needless to say, being hip does make a difference to your real estate investment, even if you are not hip yourself.